Thursday, June 25, 2009. A beloved and influential innovator of modern popular music is dead. A stunned nation mourns. Actually, most of those stunned and mourning people that day were grieving for some guy named Michael Jackson. But not me. 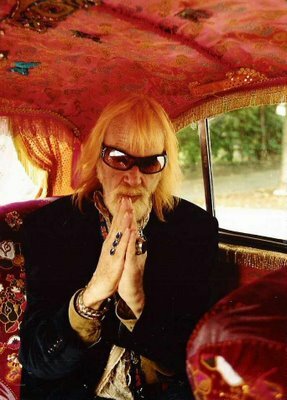 The only tears I shed that summer day were for Richard Marsh, better known as Sky Saxon, the singer of one of most important ’60s-garage, proto-punk (and don’t forget flower power) bands in rock ’n’ roll history. I didn’t care about the King of Pop! On that sad day, I looked to the Sky! Saxon and his band, the Seeds, are now the subject of a well-researched, thoroughly entertaining, and totally rocking documentary called The Seeds: Pushin’ Too Hard. I’ve been a Seeds fan since I was in junior high in the mid-’60s, which was back when their song (“You’re) Pushin’ Too Hard” was first a big hit. 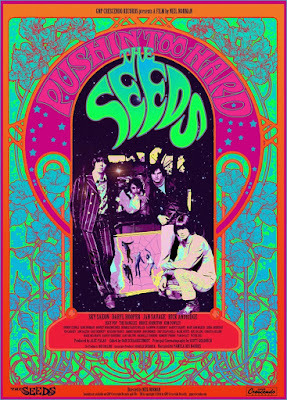 That tune fit in perfectly with some of the great snot-rock of the era such as “Dirty Water,” “96 Tears,” and “Psychotic Reaction.” but until this film I didn’t really know that much about Saxon or the Seeds. First of all, this was a real band, not just a charismatic singer with a bunch of sidemen. Director Neil Norman (whose father Gene Norman signed the group to his GNP Crescendo Records) includes footage of recent interviews with former Seeds keyboardist Daryl Hooper (whose Wurlitzer electric piano with heavy tremolo made early Seeds records unforgettable) and fuzztone-guitar pioneer Jan Savage, as well as some footage and taped commentary of drummer Rick Andridge, who died in 2011. I also didn’t realize that Saxon himself had been knocking around Hollywood for as long as he did, trying to get a break in the showbiz game. Born in Utah, he first went to Tinseltown in the late ’50s, initially signing to a label co-owned by Fred Astaire. Some of those quasi-doo-wop songs, which he released under the name “Little Richie Marsh,” can be found on YouTube today. They’re kind of cool, but you’d never realize these songs are the seeds of the Seeds. The magic didn’t really start until Little Richie hooked up with Hooper and Andridge, a couple of high school pals who moved to Hollywood from their hometown of Farmington, Michigan. They started out covering the usual early rock classics. Things started to happen after they began writing their own songs. Like many rock docs, much of the story told comes from famous folks who are fans of the film’s subject. Here we have the likes of the late Hollywood creep Kim Fowley, Bruce Johnston of the Beach Boys, members of the ’80s girl band the Bangles, Johnny Echols of the group Love, and others. Watching the rise of the Seeds is exciting, and watching their fall in the documentary is painful. Norman presents the case that it was too much ego, as well as too many drugs, that led to Saxon’s decline and the disintegration of the band. 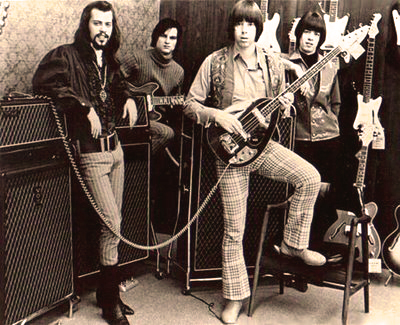 The Seeds broke up in 1969. Saxon apparently went to seed. (I apologize for that.) He lost his house, and folks would see him walking the streets or “wandering around the hills playing the flute,” according to one account in the film. At one point in the ’70s, Saxon became involved with a utopian communal experiment (none dare call it cult) in Hollywood that ran a popular Sunset Strip health food restaurant (which is the subject of another fine documentary, The Source Family, released in 2012). Saxon was given a new name, “Arelich Aquarian,” by the group’s head honcho Father Yod. The former rock star worked in the restaurant and moved to Hawaii with the group when Yod decided it was time to flee the mainland. There were reunions and reformations of the Seeds. Saxon recorded several solo albums (I have Transparency, which was released a few years before he died. It’s not bad, though it’s not the Seeds). He eventually moved to Austin, where he worked with a band called Shapes Have Fangs. At the time of his death, he’d been planning on a tour with the contemporary versions of the Electric Prunes and Love. It’s a corny cliché to compare a fallen music star to Icarus, who flew too close to the sun. Yet it seems appropriate for Saxon, who in his final years, this film shows, seemed like a sad, bewildered Icarus on a doomed quest to find his long-lost wings. But don’t forget — this crazy sucker in his prime flew pretty darn close to the sun. 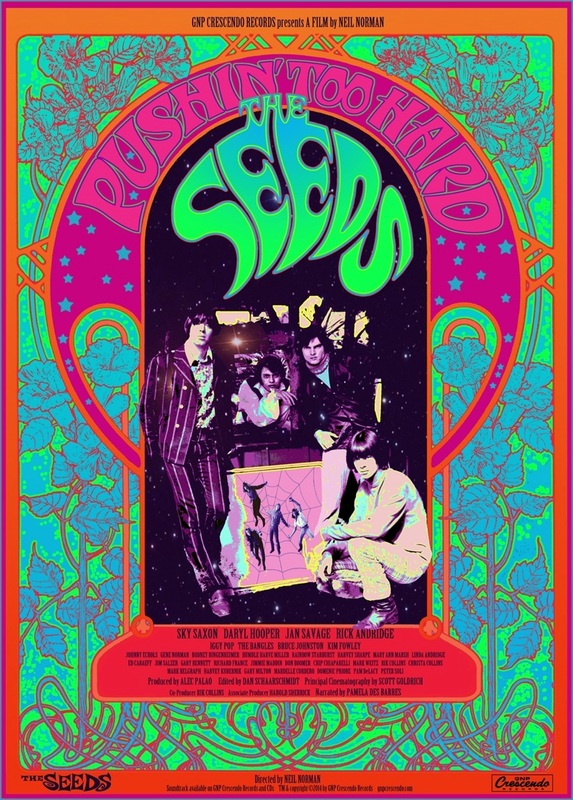 The Seeds: Pushin’ Too Hard is showing at the Jean Cocteau Cinema (418 Montezuma Ave., 505-466-5528) at 7 p.m. on Wednesday, Nov. 18, and Thursday, Nov. 19. The doc’s director will be on hand both nights. Tune in to Terrell’s Sound World on Sunday, Nov. 15, for a special segment featuring the music of the Seeds, Sky Saxon, and lots of cool bands covering their songs. The show starts at 10 p.m. with the Seeds set starting at the 11th hour. That’s on KSFR-101.1 FM.